The Best Christian Parenting blogs from thousands of Christian Mom and Christian Parent bloggers on the web using search and social metrics. Data will be refreshed once a week. Christian Parenting newsletter is a comprehensive summary of the day's most important blog posts and news articles from the best Christian Parenting websites on the web, and delivered to your email inbox each morning. To subscribe, simply provide us with your email address. About Blog At Christian Parenting.org, we are believers just like you, and we are committed to raising our children to know God and live as lights to those around us. We believe that the Lord has a message for each of us parenting in today’s culture. Facebook fans 3,190. Twitter followers 570. Milwaukee, WI About Blog Heart to heart parenting blog is meant to be an honest forum for Christian parents to build each other up and support each other. Facebook fans 76,497. Twitter followers 2,711. About Blog Encouragement and ideas for Orthodox Christians raising children in The Faith. From the Antiochian Orthodox Department of Christian Education. Facebook fans 3,716. Twitter followers n/a. United States of America About Blog Crosswalk.com is brought to you by a group of writers, editors and content producers seeking to provide applicable, educational and entertaining content to followers of Jesus Christ regardless of where they are in their respective spiritual journeys. We strive to provide timely information on everything from Marriage, Parenting and Family issues, to Bible Study, Prayer, Spiritual Growth and more. Facebook fans 2,619,092. Twitter followers 47,076. About Blog Here at ArabahJoy.com, I help women grow in intimacy with God so they live lives of purpose, joy, and passion, and leave a legacy of faith and strength for others to follow. Facebook fans 11,062. Twitter followers 1,739. Singapore About Blog Milton Goh is a Christian Blogger and one of Influence Asia 2017's Top 14 Parenting Bloggers in Singapore! Facebook fans 30,254. Twitter followers 926. About Blog Hi, I am Jenn. My blog started in late 2011 as a place for me to share what the Lord was teaching me through time in His Word. That was all I did for quite some time. After praying over my blog, I felt led to make it a part of my daily life as a way to share how our family is learning to live with purpose in all areas of our lives. Facebook fans 10,350. Twitter followers n/a. Saint Paul Minnesota About Blog Whole Parenting is a site dedicated to sharing natural parenting tips, talk, and techniques. Our philosophy draws on spirituality, the green movement, classical music, and the arts. Nurture your child: heart, mind, and spirit! We discuss everything from composting to cloth diapers, pets to gardens, breastfeeding to baby toys. Facebook fans 4,759. Twitter followers 850. About Blog Welcome to ReFocus, a ministry for transition. The goal of this blog is not to provide all the answers or give a cookie-cutter approach to transitioning to family ministry, but rather to provide encouragement, support, resources and prayer as you move forward in your church. Facebook fans 1,449. Twitter followers 506. Atlanta, GA About Blog Encouraging parents in their efforts to raise their children to be enthusiastic servants of the Lord. Facebook fans 162. Twitter followers 62. About Blog Follow this blog to get Simple, inspiring ideas to help you and your child grow in faith. About Blog Hi, I am Brittany. Welcome to Equipping Godly Women. Helping you be the amazing woman God created you to be. Here you will find topics including Christian faith, marriage, parenting, homemaking and community. Facebook fans n/a. Twitter followers 1,879. About Blog Raising Godly children with strong Christian Character. My goal is to help and encourage parents to be purposeful in raising their kids to love God, and have Godly character. You'll find encouragement for parenting, homeschooling, and winning your child's heart, We also offer Biblical based resources to help you. Facebook fans 27,244. Twitter followers 345. About Blog Welcome to Growing4Life! I am Leslie and this blog is dedicated to living according to God's Word, no matter what the rest of the world says! Facebook fans 3,311. Twitter followers 216. About Blog The purpose of this blog is Equipping you to build generational faithfulness in your family and all three of the things you are wanting for you and your family go into accomplishing that goal. About Blog Parenting with Humility is a blog encouraging mothers wives and homemakers to find purpose and joy in everyday tasks trust God through parenthood. Facebook fans 915. Twitter followers 13. Uganda About Blog Hi, I am Janel Breitenstein. My goal is to pack this baby full of ideas on practical spirituality and loving each other. Facebook fans 369. Twitter followers 156. San Diego, CA About Blog Seeking Grace in the Chaos. Prayer, Parenting and much more by Julia Roller. Facebook fans 921. Twitter followers 1,024. Plano, TX About Blog Radically Christian exists to promote the restoration of First Century Christianity, through the use of Twenty-First Century media and technology; presenting biblical truth with simplicity, love, and passion. Facebook fans 16,600. Twitter followers 3,294. Massachusetts, USA About Blog Hey, I am Ayanna. Stay at home wife to the most awesome man I know and mom of 3 little divas-in-training. My faith and belief in Jesus keeps me grounded and gives me the strength to do all things. 21 Flavors of Splendor is a place where I share my faith, marriage, parenting, friendships, well-being, and happiness. Facebook fans 1,066. Twitter followers 3,381. Texas, USA About Blog HI, I am Michelle Nietert. I am the mom of a six year old boy and nine year old girl and believe that parenting is one of my highest current callings. Facebook fans 1,774. Twitter followers 3,280. Facebook fans 10,734. Twitter followers 281. Mooresville, NC About Blog Vincent & Laura are licensed professional counselors at Christian Counselors of Mooresville. They are change-makers offering counseling in the greater Lake Norman area from a biblical perspective. Facebook fans 143. Twitter followers 131. 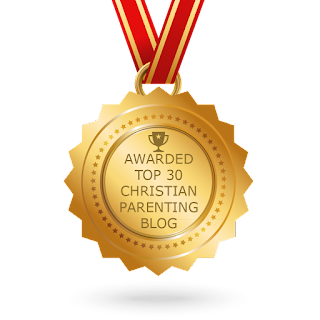 CONGRATULATIONS to every blogger that has made this Top Christian Parenting Blogs list! This is the most comprehensive list of best Christian Parenting Blogs on the internet and I’m honoured to have you as part of this! I personally give you a high-five and want to thank you for your contribution to this world.